September 8, 2015 at 12:37 pm. 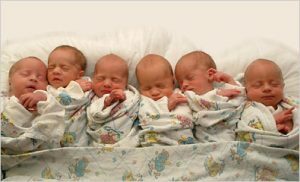 A few months ago, I was having a dialogue with Rich Birch of Liquid Church (and unSeminary) about one of his blogs: Is “Multisite Church” the Last Good Idea? Rich asked me to add some commentary to his post, as we have shared in collaborating on other subject matter related to multisite church, including Birch’s contribution to Church Locality. The premise of the blog was whether or not multisite was the last good idea for church growth and multiplication, which spawned a lot of good conversations. I agree that multisite is the best thing currently for [church] multiplication. But in a broad sense, multisite is not new. I would suggest that many denominations were birthed in their initiation to be a multisite church movement…that then morphed into a denomination of legalism. I believe multisite, as we know it today, will continue to grow and morph. I think the variations of models will continue to grow…and change. 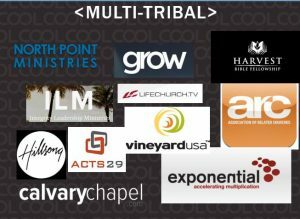 While I am a huge fan of multisite, the most incredible movement in the church world (maybe not from a growth perspective) is the ever-growing “tribal” environment. I can be Southern Baptist and be part of ARC and a number of other tribes and organizations. Churches making an impact are more prone to be multi-tribal and not just multisite. I own a book — Handbook of Denominations — by Craig D. Atwood. This book lists dozens upon dozens of denomination groups — actually into the hundreds. There are a bunch of them. I grew up in a Wesleyan preacher’s home and attended a Nazarene college, so I am keenly aware of denominational structures and influence. Back in those days, when you were part of a denomination, that was it. You bled the colors of that group. You believed your denomination was the only group doing it right. (Do you remember all the jokes about how X denomination had a separate section in heaven because they thought they were the only ones there?) I remember the first time I saw various denominations come together for a common cause; it was a Billy Graham Crusade. But even then, that was short-lived, as territorial-ism was rampant. The last part of that description is what I believe describes tribes in the church world — the idea. The tribes I see growing and expanding are tied to an idea … a cause … a passion … a vision. Not a theology. That is what denominations do. Some of these might be called mini-denominations; others are “movements”; others are dedicated to a cause, like church planting. Regardless, in many cases you can belong to a denomination, or be an independent church, and still belong to one or more of these groups — tribes. I can be Presbyterian and part of Exponential. I can be Assembly of God and also part of ARC … and part of ILM. I believe that being multi-tribal allows more churches — more denominations — to partner for common causes and the fulfillment of vision that is not generally embroiled in petty politics or power plays that are far too common in denominational settings. What tribes do you belong to? Tim Cool is founder of Cool solutions Group, and has assisted nearly 400 U.S. churches (equating to more than 4 million square feet) with their facility needs. He has collaborated with churches in the areas of facility needs analysis, design coordination, pre construction and construction management, as well as life cycle planning / facility management. Cool solutions Group is also the developer of eSPACE software products, including Event Scheduler, Work Order Management and HVAC integration.